Joey Sturgis Drums - Miles McPherson Drums is a library of recorded, edited and mixed drum samples for the Native Instruments "Kontakt" platform. The collection includes two sets of samples: a set of Yamaha and 1972 Rogers recorded at the Starstruck studio, each of which is performed by the famous drummer Miles McPherson (Kelly Clarkson, Paramore). Angel Cano - Gold Percussions for KONTAKT is a wonderful collection of Latin percussion including instruments such as Bongos, Congas, Guiro, Tambor Garifuna and Tambora Segunda, Custom Drums made by honduran native garifunas, AC Tambourine, Tambora p/merengue. 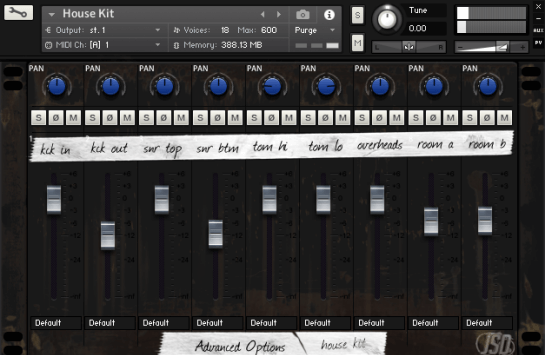 Toontrack - Southern Soul EZX is your library for EZDRUMMER 2 that recreates the unique sound of soul. Crunchy, dense and rich percussion - all wrapped in a distinctive FAME Studios studio environment. The library contains 5 full units and two settings - one uses a mono, stereo equipment. 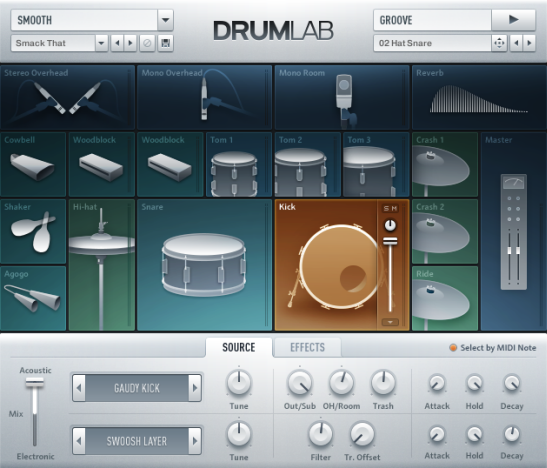 NATIVE INSTRUMENTS STUDIO DRUMMER - the perfect realization of a drummer in software, to create realistic acoustic drum tracks. 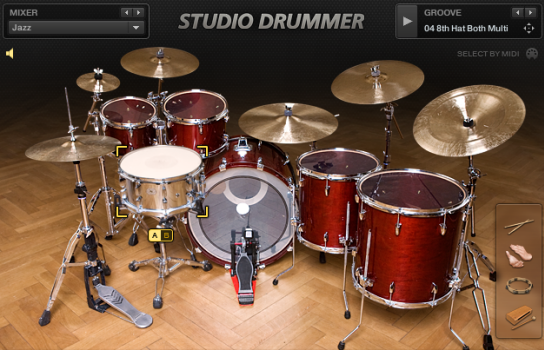 STUDIO DRUMMER - first-class drum kits, detailed and flexible mixing, an extensive library of grooves. 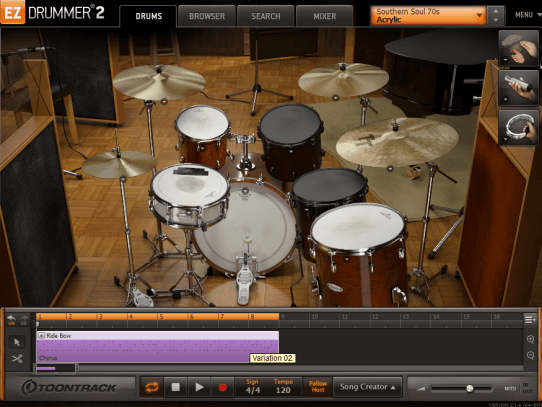 STUDIO DRUMMER makes dynamic drum tracks, the software mixer and powerful effects provide a high level and with sufficient ease of use, versatility to meet the demands of sound producers. 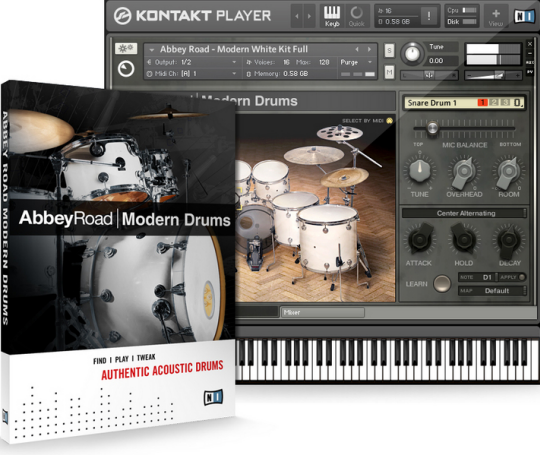 Native Instruments Abbey Road Modern Drums is one of the most technically advanced recording, mixing and post-production complexes in the world. Here you will find only the highest quality of modern percussion sounds. Installing a dream for musicians, composing modern. As was the case with previous collectors, no emulation, recording equipment has been used exclusively second and third studios. The library presents Drum Workshop Collector's Series (mid 90s) and Pearl Reference kit (mid 00's). 40000 samples Total 27 layers on the drum. 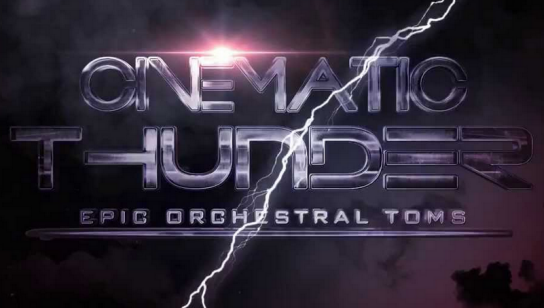 Vir2 Instruments presents Cinematic Thunder: Epic Orchestral Toms - cinematic orchestral sample library of volumes recorded in the large concert hall with three microphone positions for maximum flexibility. From soft and warm to big and bombastic, Cinematic Thunder is an absolute and indispensable production tool. Cinematic Thunder contains four master patches: Solo Sticks, Solo Mallets, Group Hits and Group Random. The master patches are the natural sound as they were recorded. Each master patch has a corresponding “Slam" patch. 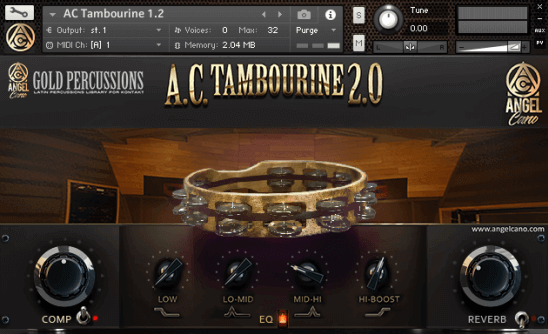 The slam versions have a bigger, more aggressive sound that is perfect for your next trailer or action cue.